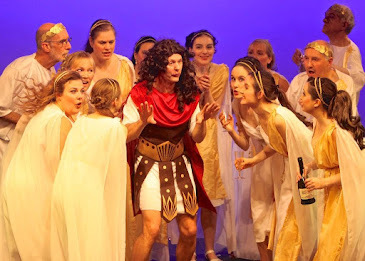 Our Triple Bill opens tomorrow (hoorah!) and we are really looking forward to presenting our three one act shows to you all. 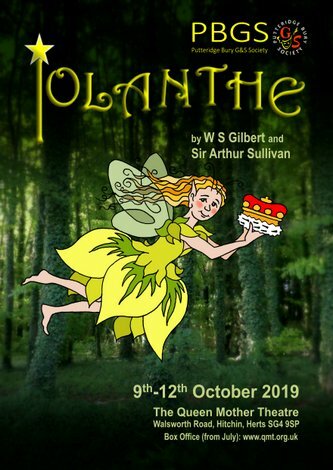 There are still tickets available for every night and you will find full booking details here and at the end of this post. 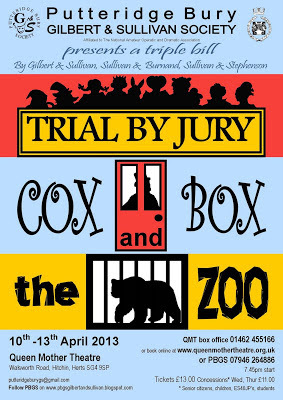 Over the last two weeks we've been telling you a little bit about our first two shows - Cox and Box and The Zoo. 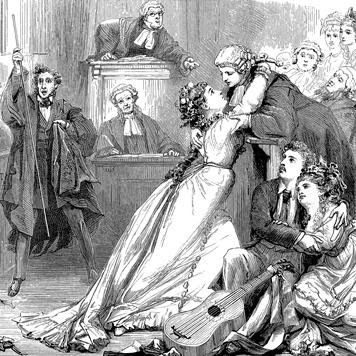 We can promise you a wonderful evening culminating in our third presentation – Trial by Jury. But be prepared to be surprised as you will never have seen a Trial like this one! Directed by Alison Gibbs, who produced our Noda Award Nominated Patience last year, it is full of invention and a visual feast. Angelina and Edwin have been banished from this production, to be replaced by a disappointed Cinderella and a Prince who is not so Charming. Is there a fairy-tale ending? Well... you’ll have to come along and see! 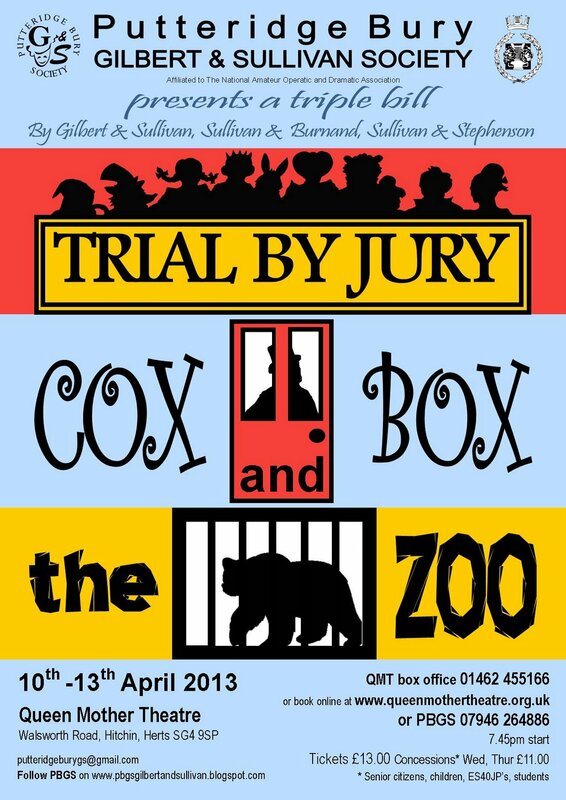 We have D’Oyly Carte to thank for the original Trial by Jury. He had Offenbach’s popular, but rather short, La Périchole playing at the Royalty Theatre, but the Box Office wasn’t doing too well. Ever astute, Carte knew he needed a curtain-raiser to fill the bill and attract audiences that expected a much longer entertainment for their money. The same day that he was mulling over the problem, Gilbert happened to walk into his office. Carte mentioned his difficulty and Gilbert told him that he had expanded one of his Bab Ballads into a full musical based on a mock trial. It was called Trial by Jury, and he hoped Carl Rosa was going to write the score. Carte had one of those flashes of insight that make history and suggest Sullivan write it instead. The pair had written Thespis together, but Carte saw past the failure. He believed that their partnership had real promise. At Carte’s request, Gilbert took the script to Sullivan, Sullivan finished the music in a fortnight and the rest is history. It opened to unanimous praise and ran for 200 performances. There are lots of ways to book your tickets. You can book online at the Queen Mother Theatre Website, or you can ring their Box Office on 01462 455166. The theatre box office has limited opening hours so you are encouraged to leave a message on the answerphone for them to get back to you. If you want to order directly through PBGS then please contact Ketina on 07946 264886 or email us at putteridgeburygs@gmail.com. Please also contact us directly if you'd like to make a group booking. A thank you to our all our audiences!